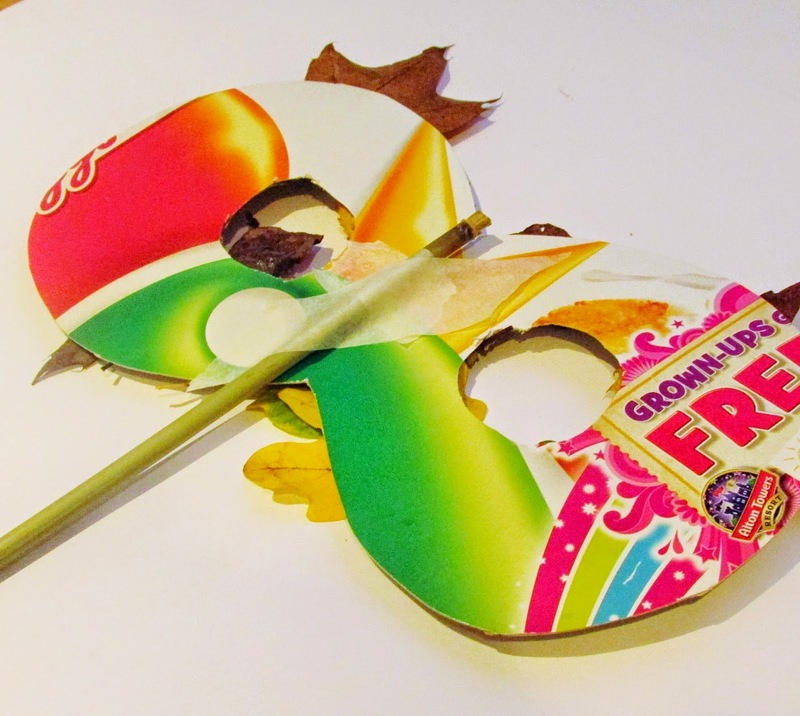 Today I welcome Helen from Craft Ideas for Kids to the blog. She has a ton of awesome craft ideas for you and your kids. 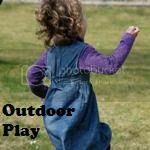 Many of which can be done outdoors. 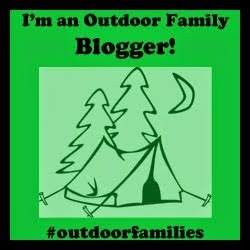 Please head over and check out her site. Autumn is easily my favorite season: the splendor of color, the crisp air and the fun of crunchy leaves. 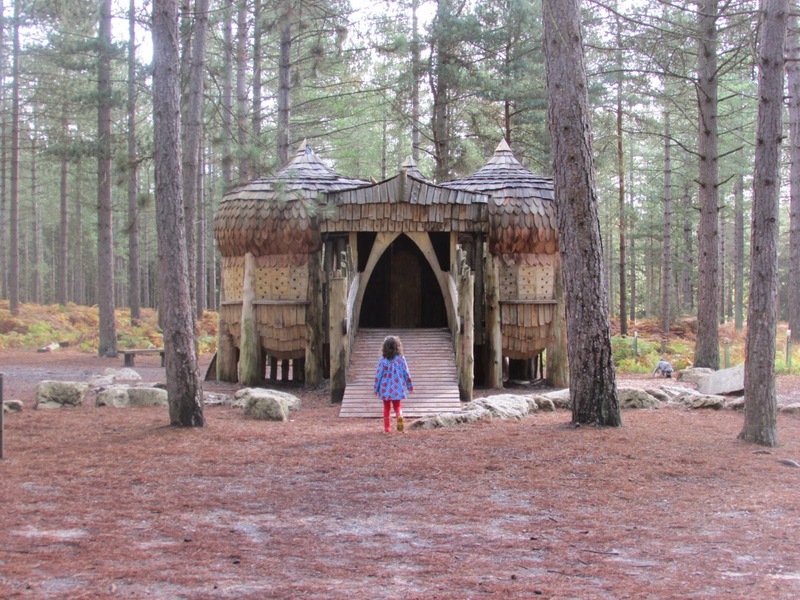 When Mae invited me to write a guest post for Mommy Loves Trees, I couldn't wait to ditch the pom-poms and glitz and take my family on a woodland excursion to collect natural crafting materials, such as leaves, twigs, pine cones and anything else that sparked my kids imaginations. inspiration for our Autumn Leaf Masks. My little lovely imagined herself as a woodland fairy, eagerly filling her pockets with leaves and sticks. We really did have so much fun exploring and couldn't wait to transform our “collections” into something magical. 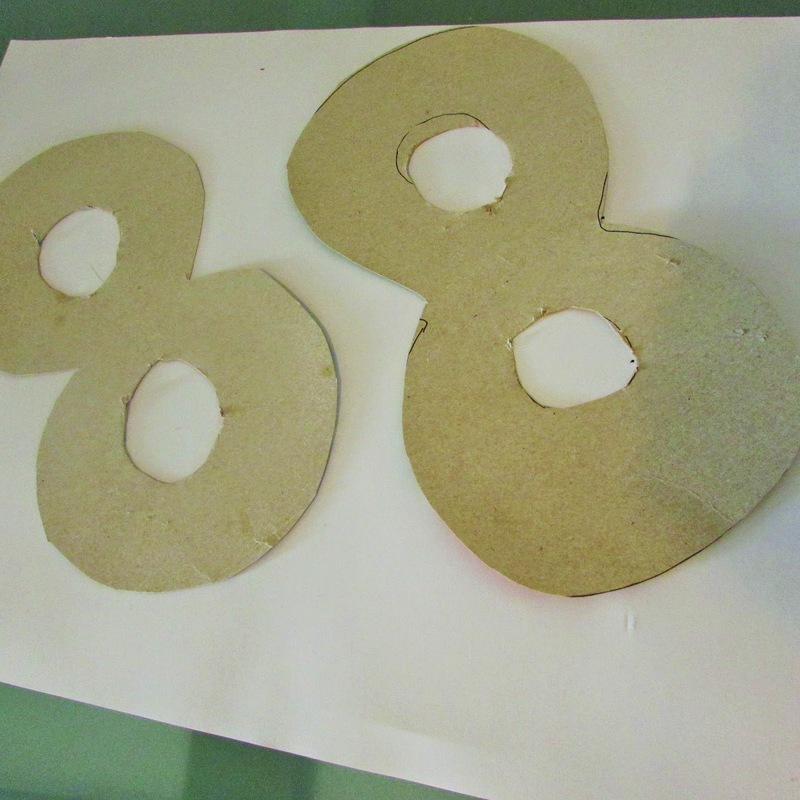 To create a base for the leaf masks, draw a figure of eight onto a piece of cardboard (we recycled a cereal box) and simply cut it out. Here's the really fun bit! 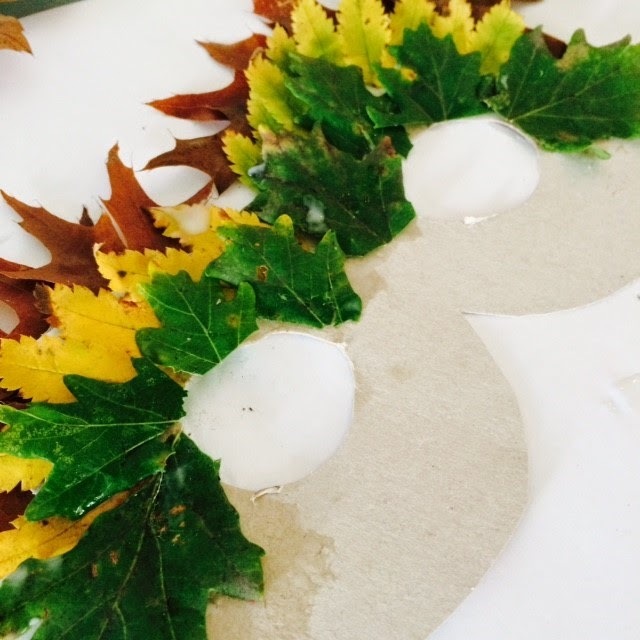 Begin sticking the leaves directly onto the cardboard, building up the design using a range of colors and layering. To layer the leaves, I recommend using masking tape to secure the larger leaves. Using tape, secure a stick onto the back of the mask. Now it's playtime! 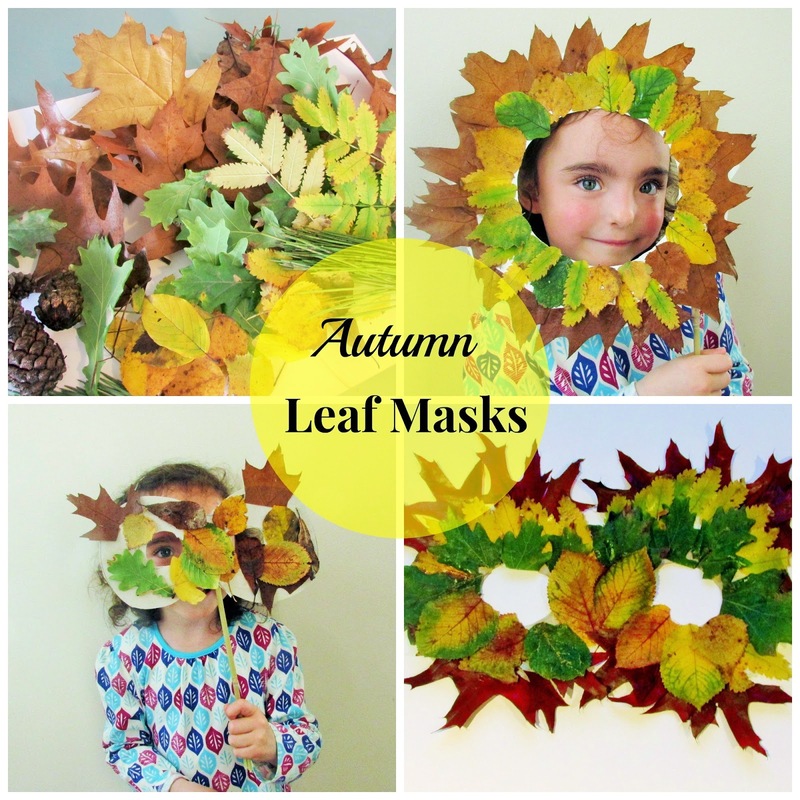 Our Autumn Leaf Masks created hours of family fun, exploration and open-ended play opportunities, with my little lovely switching between being a fairy, a flower, an owl and a lion! 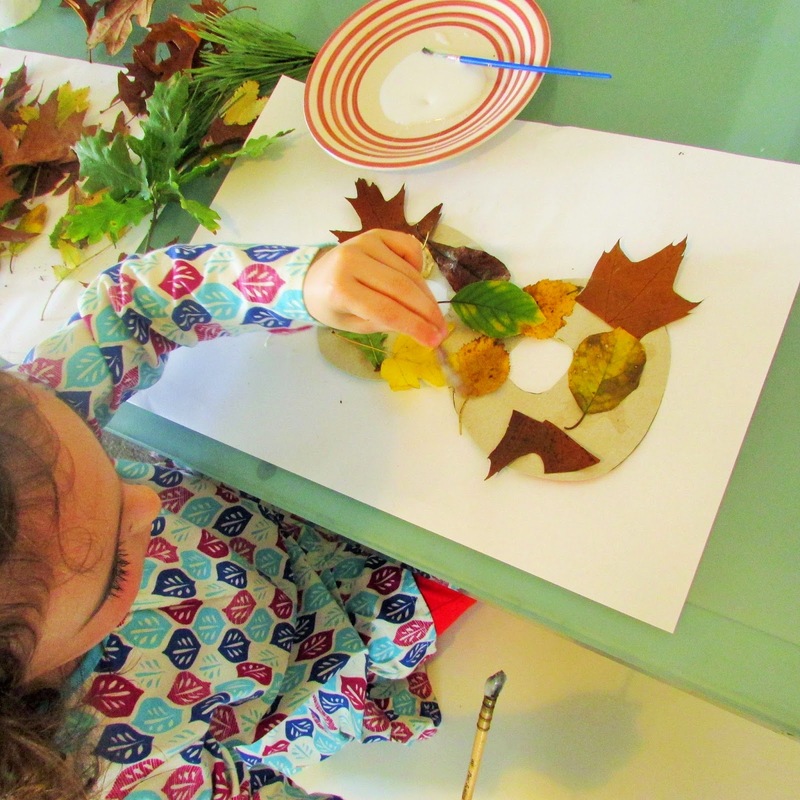 I hope you've enjoyed our nature craft and for more crafty ideas, pay Craft Ideas for Kids a visit.